The wrapping paper is cleaned up, the relatives are gone and the dishes are finally done. Who else thought that the dish washing would never end once Christmas was over? Now it’s time for the next holiday, right?! Not if it includes dishes, that’s what I say. 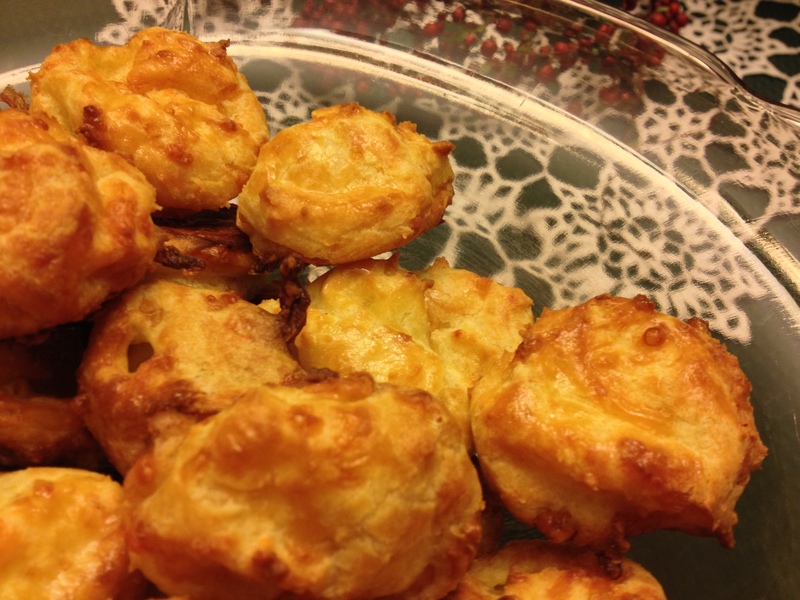 So here is a great New Years appetizer for you, if you are like me! It’s really fast and if you play your cards right, it only takes one pot and a few measuring utensils. And the best part? They freeze! So make a batch today, one tomorrow and let them sit in the freezer until Monday. Makes about 40 cute little puffs. 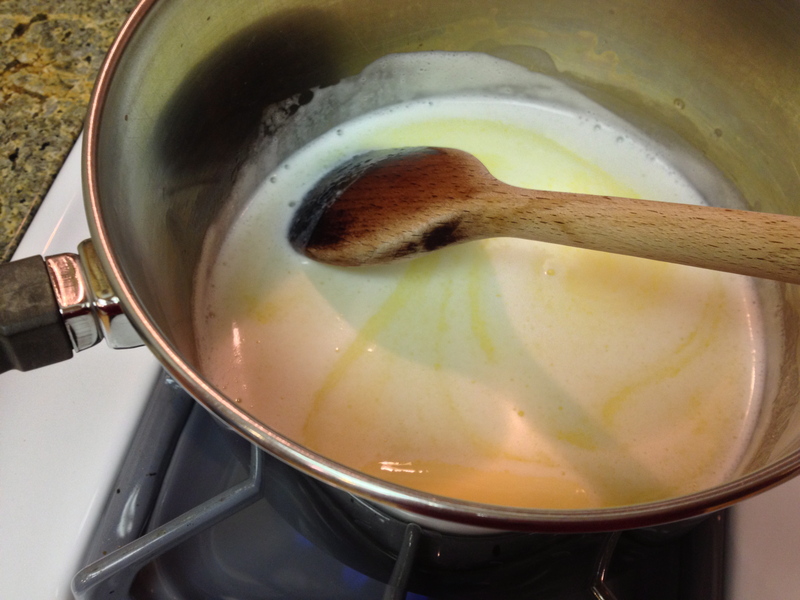 Heat milk, butter and salt in a medium saucepan. Once the butter is melted, remove from heat andbeat in the flour. Return to medium heat and beat until the mixture pulls away from the sides of the pot. Beat in 4 of the eggs, one at a time. Be sure the first egg is fully incorporated before adding the next. 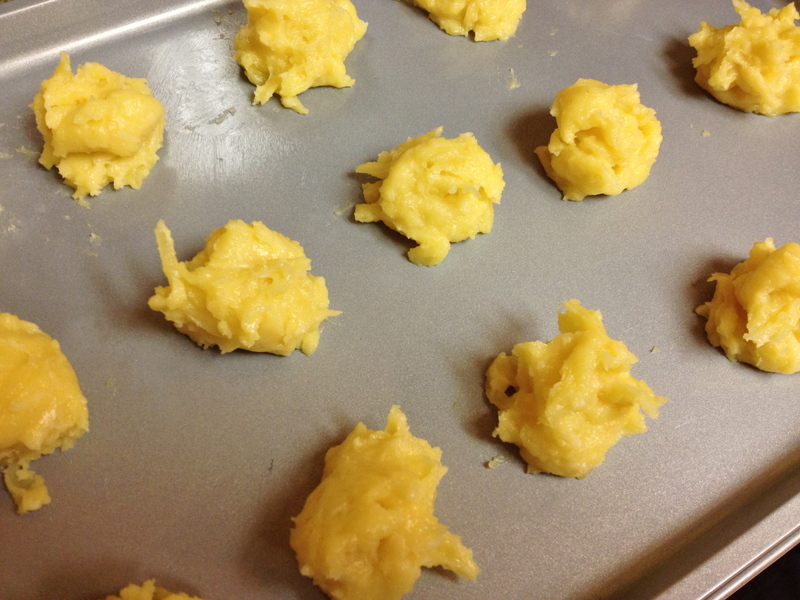 Butter a baking sheet and drop the dough on by rounded tablespoons. Alternatively, use a piping bag to dispense the dough. Place each drop about an inch from the next. 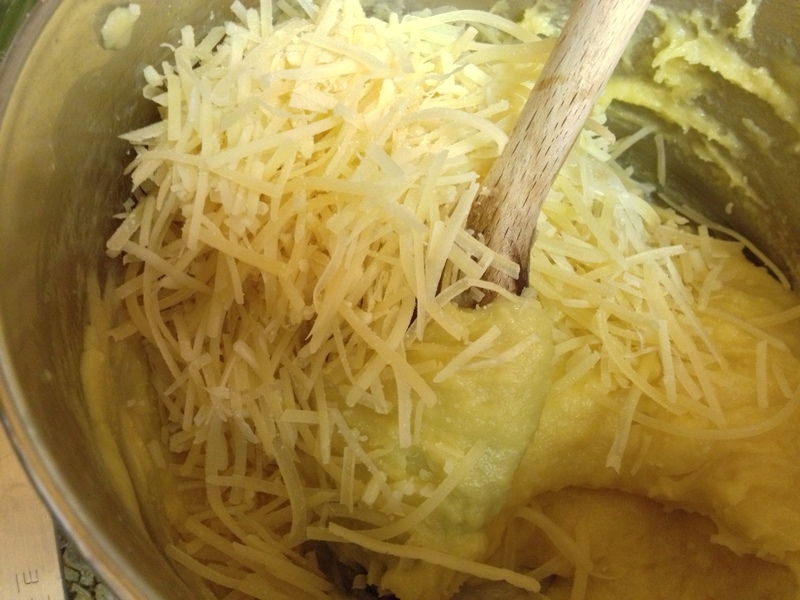 Lightly beat the remaining egg and brush it over the tops of the dough. Bake for 15-10 minutes or until the tops are golden brown. Remove. Serve warm or at room temperature.